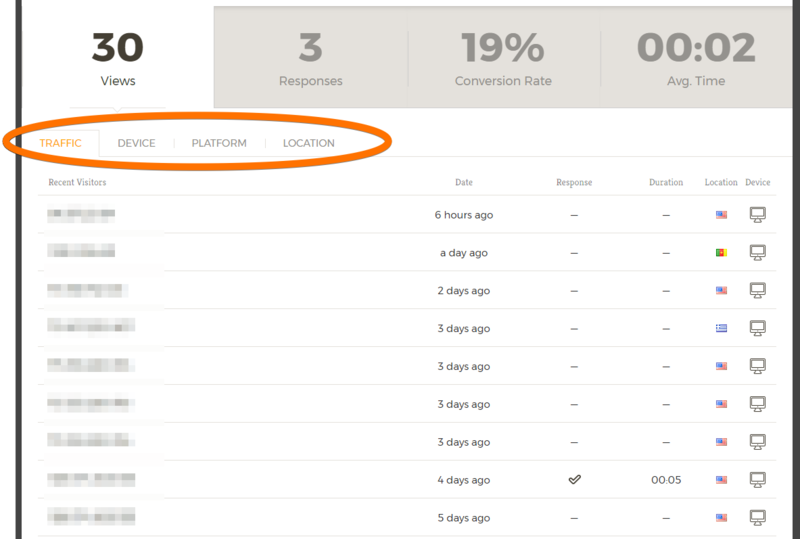 Here's a guide that would help you to track your users and get some analytics data on your forms. 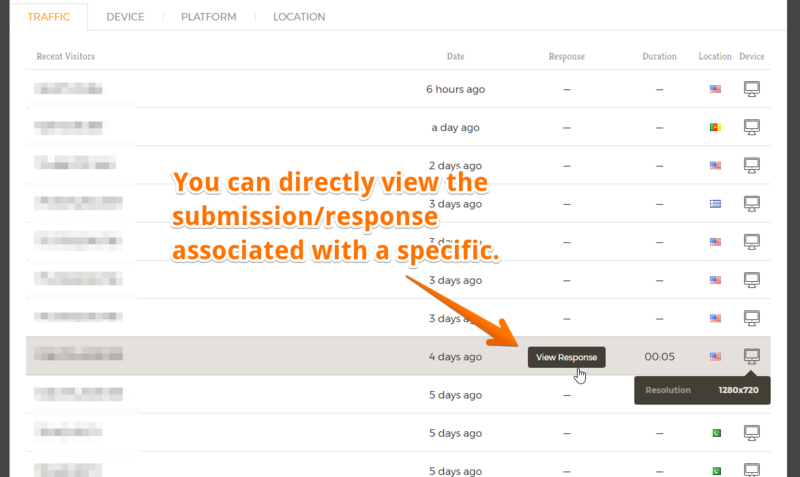 We have a variety of ways on how you can get more information on your users and their submissions. This will allow you to study how your users behave when visiting the page where the form is. Solution #1: Using JotForm's built in Form Analytics. 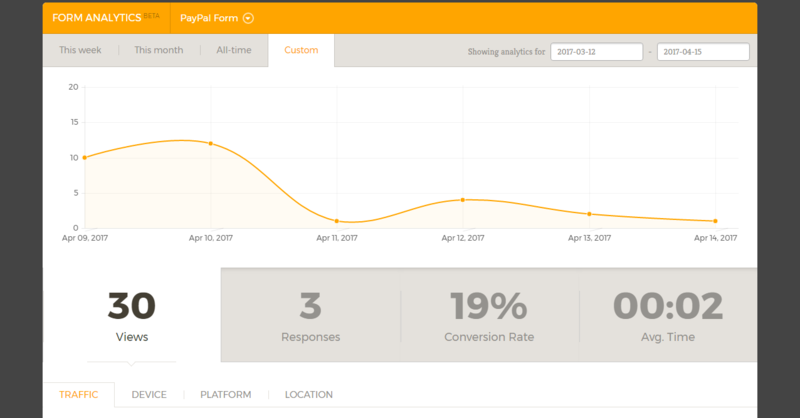 JotForm has its own form analytics, this gets basic information like the number of submissions per day, month or year, the country where the submission is made, the device use, conversion rates and others. Here are steps by steps on how you can use this. Navigate to you "My Forms" page, select a form, click "More" and choose "Form Analytics". Here's how the dashboard looks like. It will allow you to sort the data by the current week or month, custom date range or show everything. You can click on the main set of tabs which are "Views", "Responses", "Conversion Rate" and "Avg Time". The next set of tabs is "Traffic", "Device", "Platform" and "Location". This will show you more information depending on the option you selected on the main tabs. On the "Traffic" tab, it will show you the IP addresses of the visitors, the date when visited it, if they made a response, duration from the time of the visit and the time of the submission, their country and the device used. If a user made a response, you can directly view it from there. This is the tab where you can view the different devices your visitors used. This will show you the web browsers and the computer OS platform that your visitors used. Here we have a small world map showing the distribution of the views and responses your visitors made. Please note that JotForm's Form Analytics is still in "Beta" stage, so we would greatly appreciate any feedback that you have so that we can improve this feature. Solution #3: Add ways on how to get user data. We have a number of widgets that is related to analytics. You can check this specific category in our widgets page: https://widgets.jotform.com/category/analytics. Note that these widgets only fetches the information if a submission is made. If the user only visited your form, then these widgets can't get any information. Another solution is using a Hidden Box widget, that widget can get the browser information of your users. You can learn more about it on this specific guide: How to Catch User's Browser Info. So far those are the available solutions that you can use. We hope that'll help. If you have any questions, concerns or feedback, feel free to comment below or open a new thread in the forum page. I really want to tabulate the individual responses of my anonymous survey. It's rare I don't need the users' info, but in this case, it an opportunity to tabulate a broad set of answers to questions posed to people in a group who are scattered all over the US. The info will actually be shared with them. Looking for a way for my client to access the analytics for a form I have on the website. They already use the submission form date via a password protected link. Do they have to access it through google analytics? I'm looking for a way for my client to access form analytics. They already have access to submission info. 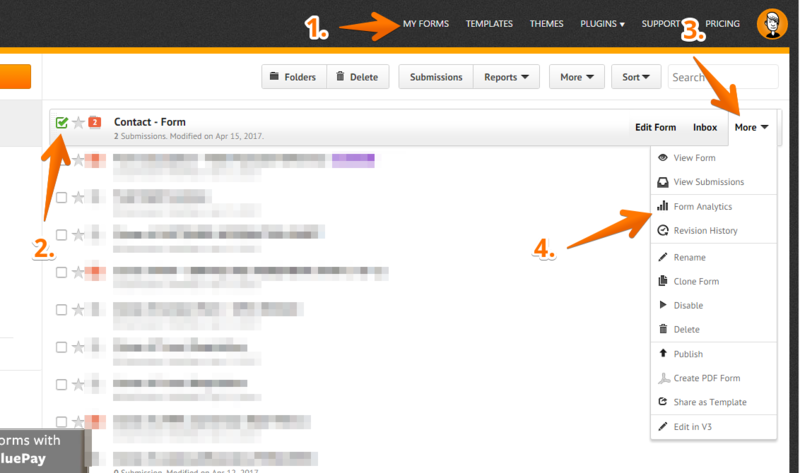 How to Embed Form on New Google Sites? How do I add another user on my account?